Are you searching for high quality door handles? Look no further! 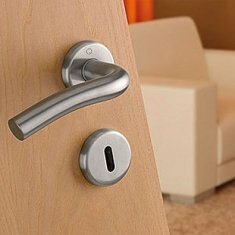 Here at HandleStore we stock a wide selection of interior and exterior door handles to suit all décors. Whether you are looking for something traditional or contemporary modern, we can accommodate your needs. So why not have a browse through our complete collection of door handles online today. At HandleStore, we understand that every home is different and we know how important it is when it comes to picking the right door handle for your décor. We want to spoil our customers with lots of choice, this is why we provide one of the UK’s largest online collections of door handles. If you can’t find what you are looking for or you need some advice regarding any of our door handle collection, please get in touch where one of our helpful customer service team will gladly help you with your enquiry. You can also read about the typical questions customers ask about the types of door handles and why not review our Knowledge Centre for Door Handles where you will find expert advice, helpful guides and 'how-to' videos. We are very passionate about our products and customer service is our top priority. So you are looking for door handles? Which type of door handle is the question to ask as handles for doors can be broken down into different groups depending on styling, size, features and finishes. 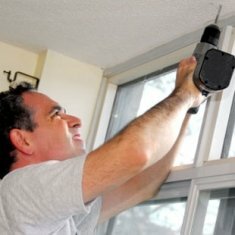 The easiest way to break it down is to start with an interior door handle or an exterior door handle. These are usually door handles that require some basic locks and latches as most doors are for bedrooms, living and dining rooms and studies. We have produced a smart video to show you how the locks and the handles work with a lever on rose door handle and a lever on backplate door handle. The bathroom lock is a little different and requires a different lock assembly for a thumbturn to retain privacy for obvious reasons. You'll get used to some terminology when searching for interior door handles like latch handle, lock handle and bathroom handle. 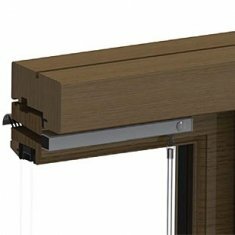 Latch door handles are basically backplated door handles that operate a simple tubular latch, lock handles are for key locking and bathroom door handles are for those private areas and again are backplated handles with the lock and thumbturn provision within the design (separate locks needed). Internal door handles tend to require less in the way of finish protection as would be the case with an external door handle that is facing up to the elements, but nevertheless they are always hardwearing. 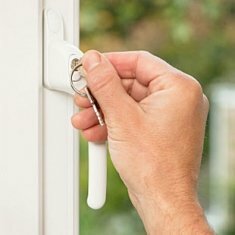 Exterior door handles are almost always a mortice type lock for a timber door and a cylinder lock for a upvc door. When considering a mortice type door handle for an exterior door you are probably having to think about security which is why the 5 lever BS3621 approved mortice lock is a good lock to consider for that extra protection. UPVC door handles on the other hand are used on a much more sophisticated type of door lock requiring a euro cylinder and again there are many to choose from and many different levels of security depending on your needs like the Yale Superior Series Euro Cylinder. It's always a good idea to check the weathering resistance of external door handles to ensure there is some reasonable longevity when it comes to fighting back the weather elements. Look out for PVD and Resista finishes as these are more hard wearing and have guarantees against the finishes. In fact why not consider stainless steel door handles for both upvc and wooden doors? Some grades of stainless offer excellent corrosion resistance in coastal areas like the 316 grade stainless and these are a must buy opportunity and such great value for money! Lever on backplate door handles including options for bathroom thumbturn, key lock and standard latch plates. Our range includes traditional and contemporary designs. Door handles made from aluminium are found on many interior and exterior doors and provide great value for money. 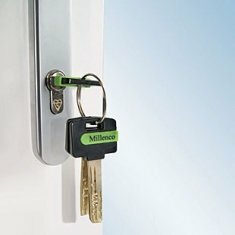 Select from key locking, latch and bathroom options. Black antique door handles in a range including lock, latch and bathroom types. Get the Tudor door handles look and choose from latch, lock and bathroom handles! Solid brass door handles in a long or short plate design including Georgian and Contemporary designs. Chrome finishes are available on brass for a real contemporary appearance. An exciting range of door handle packs for interior doors that includes a pair of hinges and a latch. These are great value door handle sets and ideal for easy ordering! A collection of fire rated door handles that can be used on fire doors with ratings of 30/60 minutes. We select quality door handles with high performance. Lever on rose design door handles in a range of contemporary designs including polished chrome, stainless steel and satin chrome finishes. See our exciting range of door knobs for interior doors including crystal cut glass, oval, mushroom and black period designs. Kitchen door handles are a plenty here! 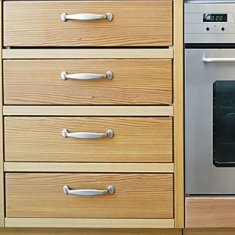 Check out the huge range of designs and sizes for all types of kitchen handles and knobs. 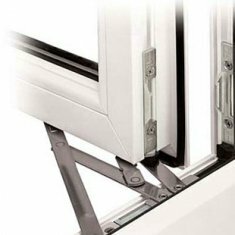 Our range of sliding patio door handles is impressive and for most customers a life-saver! Take a look at the different designs and sizes from within the range. An exciting range of pewter door handles are available including different designs and lock types. Some made using hand forging! A contemporary range of sliding door handles for interior partition doors. Recessed designs available in fabulous colours! Stainless steel door handles for internal and external use including coastal application (316 grade). Choose from lever rose and lever backplate designs. This is the most comprehensive listing of upvc door handles you'll find for a variety of old and new upvc doors with multi-point locks whether lever, pad or offset. Available to you next day. 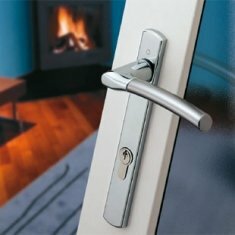 Visiting this page will show all of our double glazed door handles whether patio, internal or external. You can filter the options down from the menu.